While Rogue One: A Star Wars Story is set to debut on the big screen on December 16th, there's always more than one way to enjoy a new Star Wars film. Later this year, and early next year, the novelization for Rogue One will be hitting digital and physical bookstores everywhere, and we just got our first look at what it will actually look like. The awesome folks at Jedi-Bibliothek have uncovered the cover artwork for the novel, which is penned by Alexander Freed. 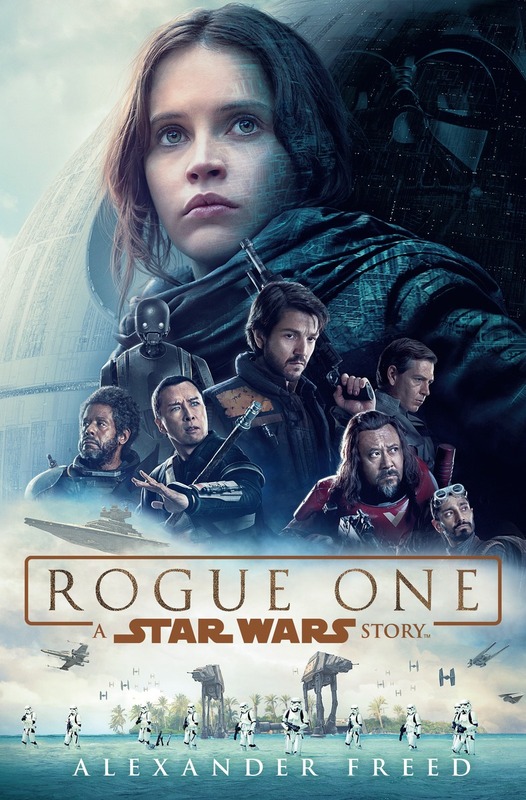 The cover(seen above) is very similar to the theatrical poster for Rogue One that was revealed recently. The novelization will be available in eBook format starting December 16th, and the hardcover edition will hit booksellers on January 3rd, 2017.